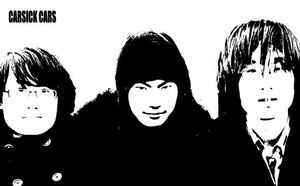 Carsick Cars is a Chinese indie rock trio formed in March, 2005. The band was scheduled to open for Sonic Youth in Beijing in April, 2007, but their performance was canceled on short notice. However, in August the same year they joined Sonic Youth for their European tour in Prague and Vienna. Carsick Cars released their self-titled debut album in 2007 on Maybe Mars in China and on tenzenmen in Australia. A 7" single of tracks taken from that album was released in the UK by Suyin Records. In June 2009, the band released their second album, You Can Listen, You Can Talk. In March 2010 Carsick Cars will be performing at the world renowned music festival SXSW in Austin, Texas.